This is a totally interesting dilemma for the NFL’s "Color Rush" initiative, and I never gave it a second thought myself, so it’s possible the league was caught off guard as well. The reviews on the first ever "Color Rush" game were mixed, but the NFL got the thumbs down from colorblind fans. 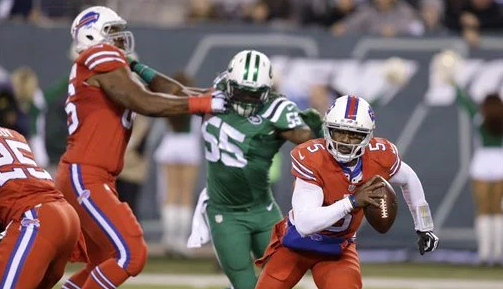 According to Larry Brown Sports via The National Eye Institute, colorblind fans may have thought the Jets and Bills were on the same team at times. “As many as 8 percent of men and 0.5 percent of women with Northern European ancestry have the common form of red-green color blindness. The next few weeks should only get even more interesting.